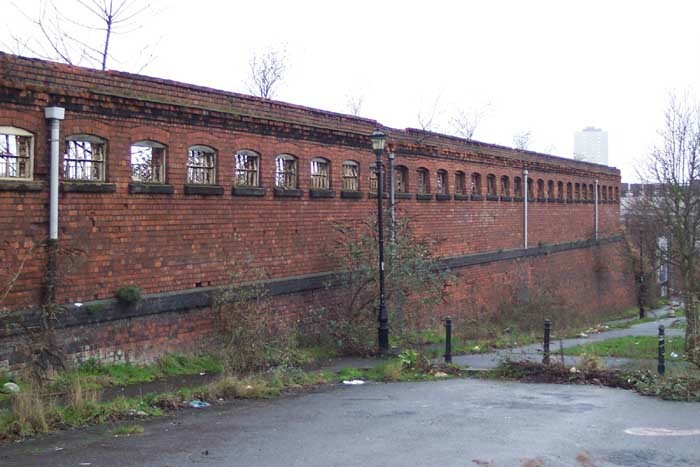 Windsor Street was a purpose built goods station opened in 1880 by the LNWR roughly a mile from Birmingham city centre in what was then the borough of Aston. The yard was of considerable size apable of holding some 334 wagons. 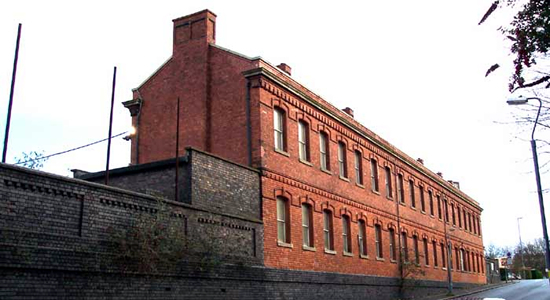 In addition to this, the yard also served significant rail workings at Birmingham Corporation Gas Works. Unfortunately, as with all purely 'goods' stations, information and photographs are scarce and to make matters worse I've mislaid a small collection of photographs covering Windsor street goods station and Gas Works so for the time being I am not able to provide a working photo of the station. Above we see an 'office block' that is still standing some 35 years after closure of the site - surprisingly, they look in good repair. The shot is taken on Avenue Road looking to Rupert Street: one of the entrances to the station yard was on the corner of these two roads. 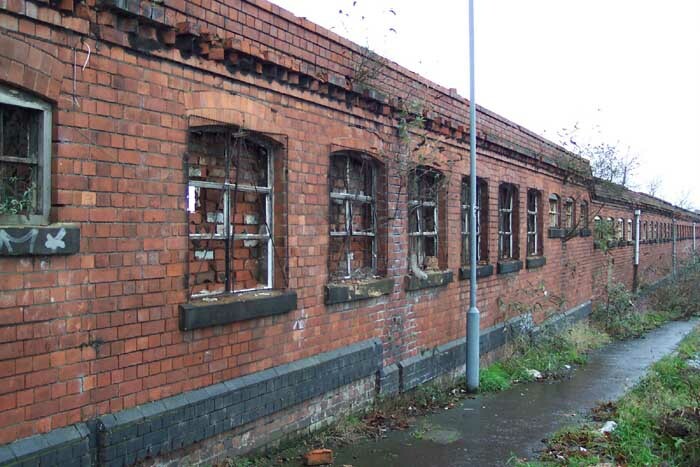 The only fact of distinction regarding the station was on Oct 18th 1940 the then-LMS Goods Yard and Windsor Street Gas Works were hit in a German air raid and suffered 'significant' damage. Above-left we are on Rocky Lane looking towards Rupert Street with the goods station to our right. 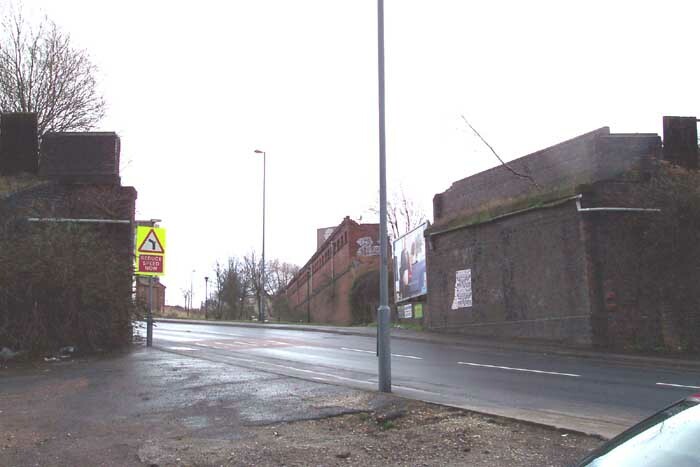 In the foreground we can see the remains of the bridge that carried the railway lines from the junction with the LNWR's Grand Junction Line just south of Aston station. 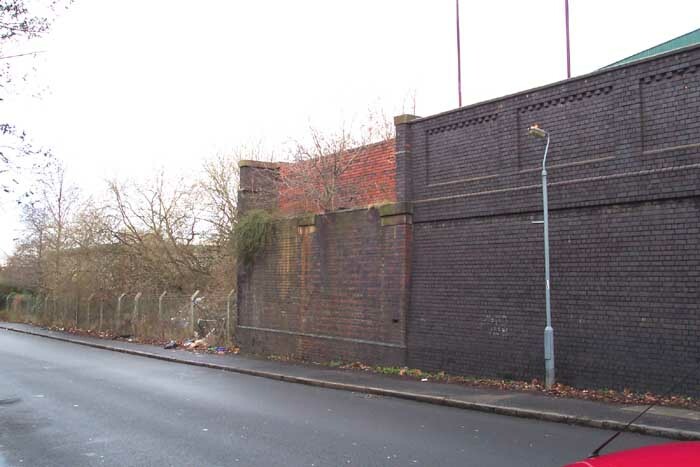 Above-right we are on Avenue Road once more and can see the remains of the bridge which carried the track from the goods station to the right to the Gas Works which was/is out of shot to the left. 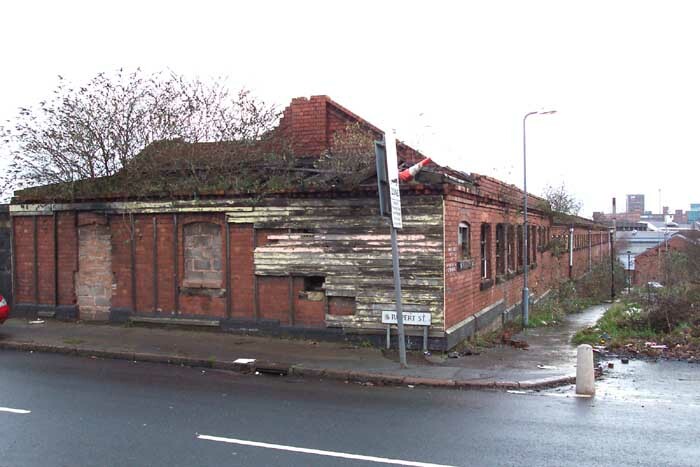 Above-left we are at the corner of Rupert Street and Rocky Lane looking at some remains of the station still standing - albeit only a facade as the buildings behind the frontages have been demolished. Above-right we have crossed over the road from the previous shot to look at what is my favourite relic still standing at the site: this is the frontage of the old stabling block where the horses used for shunting wagons around in the yard were kept. Above-left we have turned slightly to our left from the stables shot to get a closer look at some of the other railway structures remaining. Finally, above-right we are standing on Rupert Street just a few yards from the corner with Rocky Lane looking through a gap in the wall. What we see is the view from behind the walling of the stabling block etc . . . seen in the earlier shots. 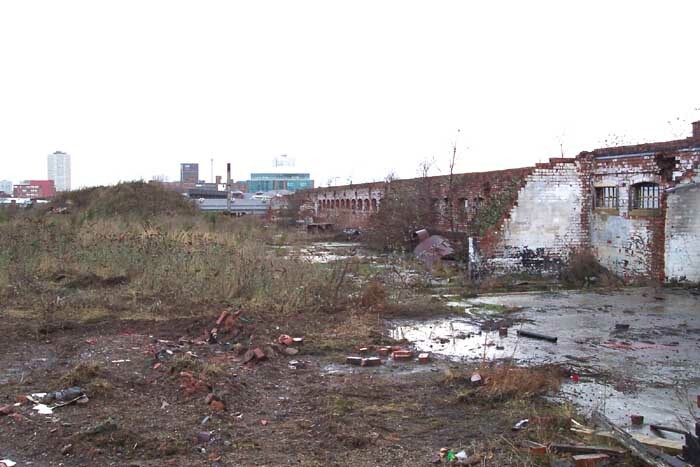 This waste ground would, evidently, have been occuppied by four large buildings according to a 1938 OS map. The main goods shed was to the left of this point and was fed by no less than eight sidings. This site is fascinating for a visit and I would suggest you do so as soon as possible as I got the feeling that redevelopment of the site was imminent and the relics seen above are soon to be confined to history. I may well visit the site again soon myself as it was raining heavily and some of the spots I wanted to check out were boggy and I had my 1-year-old son with me thus rendering them inaccessible!